All children except one grow up. 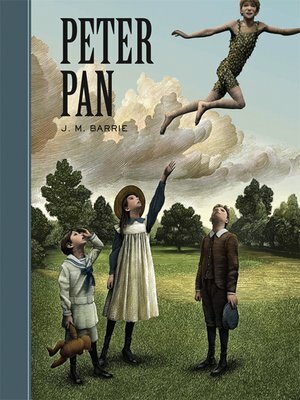 In 1904, Peter Pan first flew across a London stage and into the bedroom of Wendy, John, and Michael Darling. Ever since, this perpetual youth has continued to delight children of all ages. Young readers will happily soar with him and his friends to enchanted Neverland, where they’ll meet Tinkerbell, the Lost Boys, and the “dark and sinister” Captain Hook. It’s a tale as ageless as its beloved hero.